We provide advanced spinal correction utilizing “state of the art” chiropractic techniques. Never in the history of chiropractic have we been able to provide the level of help and expertise that now exists. These newer correction methods are even safer, more comfortable and more effective than ever before. 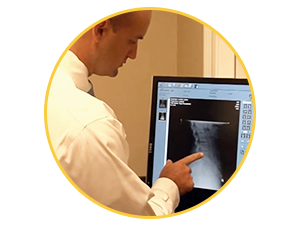 As a Doctor of Chiropractic, Dr. Blake Gilmore has years of training and experience in spinal adjustment. 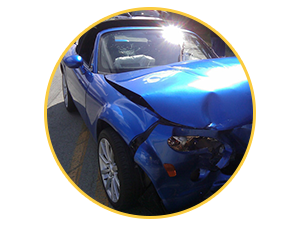 Have you been injured in an auto accident? Your Pensacola Chiropractor has received advanced training and is certified by the Spine Research Institute of San Diego in the treatment of whiplash and brain injury traumatology caused by auto accidents. We’re here to help you recover from the trauma you’ve experienced and get you feeling like yourself again. If you have been injured or were in a car accident and need a more detailed physical evaluation, The Digital X-ray System at Gilmore Chiropractic has you covered! Have a question about our treatments? Feel free to drop a question, inquiry, or just say hello! Simply fill out the form below and we’ll be in touch as soon as possible. Thank you!